Baseball is a fast-paced sports game that requires accuracy, strength, concentration, and skill. Almost all professional baseball players use batting gloves, as they offer increased grip, extra comfort, and protection, whether at the plate or in the field. 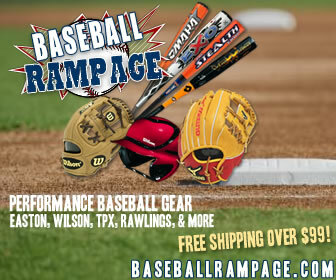 The majority of baseball players find that wearing batting gloves helps to improve their game performance. Maintaining a constant controlled and tight grip on the bat while swinging is essential for ultimate hitting accuracy and power. Gloves provide extra grip on the bat, whether it is a metal bat or a wooden bat, by keeping hands dry and free of perspiration and natural body oils. Another reason for wearing batting gloves is that they protect the player’s hands. First, a batting glove offers added shock protection, the pressure that is forced into the bones of the hand as the hard bat hits the fast moving ball. The vibrations from the bat hitting the ball often leave the batter’s hands and fingers momentarily stinging, tingling, or feeling numb. Players have been known to fracture bones in their fingers from this forceful shock, especially during a bad or lose batting swing, if they do not have any added padding on their hands, particularly in cold weather. Batting gloves also provide protection of players’ hands when they have to slide into a base. Often, they will slide in on the palms of their hands. Wearing a pair of batting gloves will greatly reduce any friction burns to the hands during a slide. Trying to play baseball with blisters on the hands can cause a great deal of discomfort and affect a player’s hitting and catching accuracy. A correctly fitting pair of batting gloves can also help to reduce the chance of a player’s hands developing painful and uncomfortable blisters on the palms and fingers. It is common for baseball fielders to wear batting gloves inside their regular mitts, as they provide better grip, eliminate perspiration in the baseball glove, and offer greater comfort and protection of the hands while fielding. Batting gloves are commonly worn by players of all skill levels and ages. Their acceptance as an integral part of the baseball player’s outfit means that there are a wide variety of brands available at varying degrees of quality, effectiveness, and price. 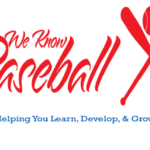 And in order to find the right batting glove, it is important to know how to correctly fit and measure a baseball batting glove.